VP Human Resources EMEA-India, SAFRAN. Benoit began his career in 1994 in an Executive Search Company; he worked mainly for imaging Industry (Kodak). 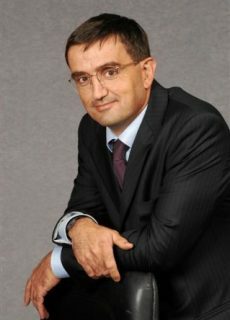 He joined Safran in 1998 and held different positions in HR, working for several activities in Telecom and Defense. In 2007, he was appointed as Vice President Human Resources and Communication of Snecma Propulsion Solide. He led the social and HR issues of the merger between Snecma Propulsion Solide and SME Energetic Materials till the inception of Herakles. In September 2012, Benoit moved to India to establish Shared Services and to lead Human Resources for Safran in India. 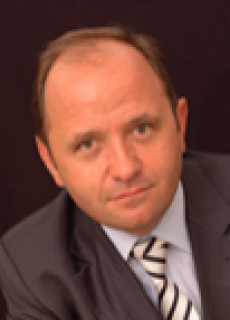 In September 2015, Benoit was named Vice President Human Resources Europe/Middle-East/Africa and India. Director of Human Resources, Railway, SNCF. Benjamin took his position as Head of Human Resources on January 2, 2018. Before that, he held several positions within different institutions, Ministries and companies. In 2009, he joined the Ministry of Labor. In 2012, he became technical advisor in charge of social dialogue and labor law. In 2014, he worked with the Prime Minister, in charge of employment issues, negotiations for the 'Responsibility Pact' and the modernization of social dialogue as well as restructuring. He joined SNCF in 2015 as Director of Management and Social Quality and Deputy Director of Cohesion and Human Resources. 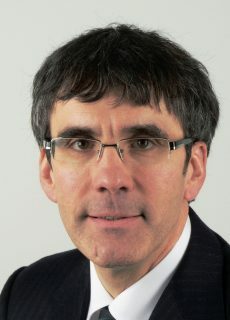 Yves started his career at the Ministry of Finance between 1970 and 1984. 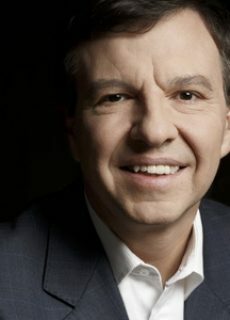 In 1984, he joined the management of Rhone-Poulenc where he held operational positions in France and Africa and the position of HR Director in the US. From 1998 to 2000, he was the Deputy Cabinet Director to Martine Aubry, French Minister of Employment and Solidarity, with responsibility for employment, integration and training. Between 2000 and 2010, he was Senior Vice-President, Human Resources and Social Affairs at Thales. In this capacity, he introduced a new approach to management, promoted forward planning and negotiated two important European agreements introducing European standards for professional development and assessment. He was Social Responsibility advisor in FSI (The French Sovereign Found, now BPI) from 2010 to 2013. Since 2012, he has been Chairman of AFPA (the French agency for the vocational training of adults). He created the European HRD Circle in 2010 and is still its chairman today. 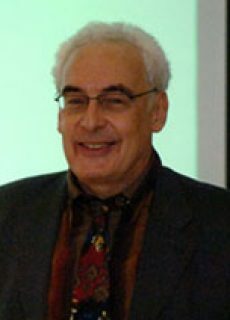 Jean-Luc holds master’s degrees in business and labor law. He started his career in 1983 with the metallurgical industries group. In 1986 he joined the Esys-Montenay group as labor relations manager. He then moved to UNEDIC in 1992 as Vice President for Human Resources, a position he held until 1999. 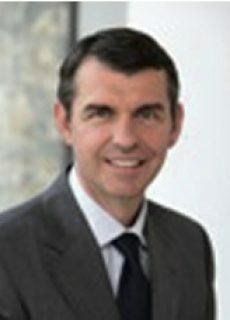 He then took charge of human resources at Air-Liberté (British Airways group) until 2000, subsequently holding the same position at AOM Air Liberté, then Cégétel. He later moved to Snecma (Safran group) from 2002 to 2007, first as deputy director of labor relations, then Vice President for Human Resources. He returned to UNEDIC in 2007, and went back to Safran as Vice President for Human Resources in May 2010, a position he still holds today. 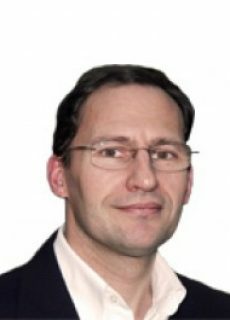 Hervé Borensztejn is a partner in Heidrick & Struggles’ Paris office and is a member of the Leadership Consulting Practice. Prior to joining Heidrick & Struggles, Hervé was partner in a consulting firm specializing in strategy and transformation where he significantly grew the corporate transformation business. Previously, he was chief human resources officer of Converteam - General Electric Power Conversion for four years. Prior to that, he served as chief people development officer at EADS Group for 10 years. Hervé started his career working with the Corporate University of Vivendi to accelerate its transformation. Hervé is an associate professor at La Sorbonne University where he teaches human resources at master and executive master levels. He is the author of Growing Talents, a Corporate Duty, which was published in 2008. After different positions in the Ministry of Social Affairs on employment and healthcare, issues, Xavier joined Thales in 2002. After being in charge for the Air Systems Division, he became SVP for International Human Resources in charge of South Asia, Africa, Latin America, Europe and The Middle East at Thales), always travelling from one country to another while being in charge of anticipation and employer branding. He became Executive Vice President for Human Resources and Labour Relations at Air France in 2012. He joined Bolloré in October 2016. Agnes spent her whole career in multicultural environments. She gained her former experience in various companies such as Vivendi Universal, italcementi of Valeo, where she heId senior positions in Human Resources Management and Communications. As such, she was involved in domestic and cross-border operations. Prior to joining Elior, she served as Group HR SVP for Arjowiggins, the world's leading manufacturer of technical and creation papers. Agnes joined Elior Executive Committee as Group HR SVP early 2009. François holds a masters degree in law. He started his career in 1986 as HR manager at Philips. He then moved to Alcan where he held various HR positions at plant, regional, business group and corporate levels based in France, Switzerland and Canada. His last position was Vice-president Human Resources Environment Health and Safety for Rio Tinto Alcan, the aluminum division of Rio Tinto, headquartered in Montreal, Canada. Francois joined Vallourec as group HR VP early 2010. Marie-Françoise began her career in 1979 as an in-house consultant at the Public Affairs Department of the Compagnie des Wagons Lits & du Tourisme. 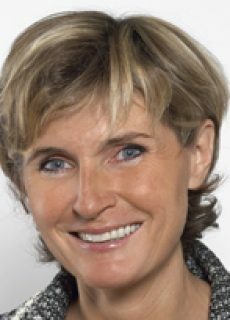 In March 1984 Marie-Françoise joined Renault and held various management posts in the Organization, Marketing and Sales and Human Resources departments before joining Nissan Europe in 2001 as Vice-President, Human Resources and General Affairs. She was a member of Nissan Europe's Management Committee. She was appointed as Senior Vice-President, Communications at Renault on November 2005 and became a member of the Renault Management Committee. In November 2010, she was appointed as Senior Vice-President Human Resources for the Renault group. Hervé joined Rhône Poulenc in 1983 where he held various positions in Human Resources in France and in the United States. He has served as Human Resources Vice President for the pharmaceutical research and development in France, for Rhône Poulenc Rorer international operations as Senior Vice-President for the Nutrition Division of Aventis. He joined Thales Group in 2000 where he was successively Vice- President Human Resources Naval Division and Land and Joint Systems Division. He was appointed as Senior Vice-President for DCNS Group in 2007 and advisor to the CEO. He is now the HR Director of the French continuous learning association, AFPA. Marianne joined the Council of State where she became Counsellor in 1995. Between 1995 and 1997, she held various positions in the French Administration (Legal Adviser for the Ministry for cooperation, member of electoral missions in Mozambique for the UN and in Gaza for the EU). Between 1997 and 2000, she was posted to the Ministry of Foreign Affairs and appointed First Counsellor at the French Embassy in Tunis, where she oversaw communications, negotiations and political, community and legal affairs. Before coming to EDF, she was Head of Institutional Affairs at Gaz de France, where she was subsequently appointed Deputy Head, Information and Public Affairs, in September 2004. She was Corporate Secretary and Senior Executive Vice President from June 2007 to December 2009, having been General Counsel from joining the EDF Group in 2005. Marianne was appointed Group Senior Executive Vice President, Human Resources, member of the Executive Committee, in November 2010. Loïc's career began in 1980 at Thomson-CSF Aeronautical Equipment. In 1988, he went on to become HR Manager for the Telecommuni- cations Division. In 1993 he was appointed HR Director for the Paris Chamber of Trade and Industry, before joining the office supplies company Guilbert (PPR Group) as HR and Communications Director in 1998. After working for Andersen Consulting in Paris and Chicago, Claude joined Usinor-Sacilor with different positions dealing with HR, industrial restructuring and early workforce planning. 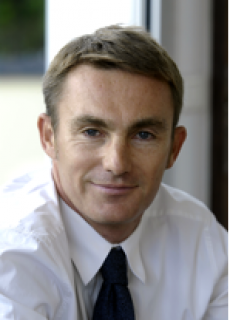 He joined the Group in 1994 with the creation/merger of Messier-Dowty, then in charge of HR development and industrial relations for the French subsidiary. He became HRD in 1997. In 2001, Claude was appoin- ted as Group VP HR of Messier-Dowty International. He became VP of HR of Sagem Defense Security in 2007. He is also a Professor at Science-Po Paris. He is now Business Group HR VP at Faurecia. Cluster Leader Human Resources Europe and Central Asia, TETRA PAK. Paul began his career at SNECMA (aeronautics) holding various Human Resources positions in the Paris and Alsace Regions. He joined Steelcase Strafor (Office Furniture) in 1992 as Human Resources Director for France and then as Factory Director for the Wood Division in Chartres. He then joined Tetra Pak (Packaging Industry) in 1998, holding successively positions of Human Resources Director in France and Vice-President Human Resources for the Business Unit Aseptic of Tetra Pak in Lund (Sweden). In 2005, he was appointed Executive Vice-President Human Resources for the Sidel Group in Paris. He was back to Tetra Pak in 2008, running Human Resources responsibilities for the Supply Chain worldwide, then for South Europe. He was appointed Cluster Leader HR Europe and Central Asia in 2014. 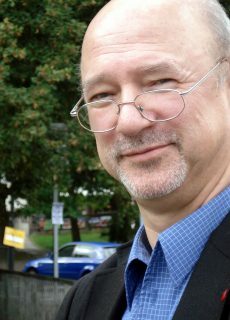 Paul Mayer is a tutor of the International Track of CIFFOP since 2007. Jérôme Barré is the Executive Director of the Orange Group in charge of Human Resources. He joined the Group in 1985, and worked on the quality and development of the network in Ile-de-France, and then in Brittany. He was appointed as the National Delegate for Local Authorities in 1991. Between 1996 and 2010, he alternated between national responsibilities and experiences as an Operations Manager. He worked at the Consumer Division between 1996 and 2000, as Director of Service and Quality for the Professional Customer Division, and then as Director of Customer Service at the Retail and Customer Service Division. He became Regional Director for Burgundy, and then for Franche-Comté between 2000 and 2006, and then Regional Director for North-West and Central France (Lower Normandy, Upper Normandy and the Central Region) between 2006 and 2010. He coordinated the negotiations on occupational stress following the employee relations crisis, alongside the Group's HRD in 2009 and 2010. Jérôme was then appointed as the Director of Commercial Activities and Customer Services for the Consumer Market at Orange France, where he specifically worked on creating the Orange Divisions. He was appointed as the Director of Orange Ile-de-France in April 2011, where he was responsible for developing Orange's business activities in the Ile-de-France Basin. EVP Corporate Secretary, AIR FRANCE-KLM. 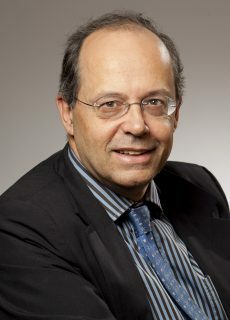 Jérôme began his career at Société Générale before joining Credit Lyonnais in 1989 with successive responsibilities for the public debt market, then for a portfolio of bond issuers within the financial markets department. In 1998, he joined the Human Resources department as manager for employment policy and labor relations. From 2001 to 2004 he was director of labor and social relations for Credit Lyonnais. 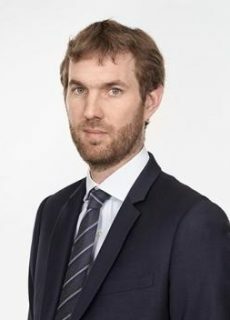 He was responsible for the same area for Credit Agricole beginning in 2003 and worked on the social rela- tions aspects of the merger between Credit Lyonnais and Credit Agricole. He became director of Human Resources of LCL in 2005. He joined Caisse des Depots in 2007 as an advisor to the CEO. 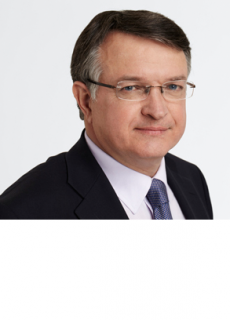 Since February 1, 2008, Jerome has served as Director of Human Resources for Caisse des Dépots and a member of the public institution's and Group's executive committees. In December 2012, he became General Secretary for Transdev. Jérôme has been appointed EVP Corporate Secretary and member of the Air France-KLM Executive Committee as from July 21, 2016. François is a hands-on manager who believes in dialogue. Since 2006 he has been laying the groundwork for tomorrow’s SNCF—restructuring freight operations, redeploying the group’s workforce and setting up a pension fund—but also launching an independent insurance program registered with France’s social security system, introducing minimum service requirements, coordinating reforms in rail workers’ retirement system and transforming internal structures. Before joining the Company acquired a 17 years experience in Groupe Framatome. He occupied various positions within the Human Resources Department, including Director of Human Resources and Director of Communication and Public Relations between 1991 and 1998. He joined SNCF in 1998. He is now Senior Executive VP: Human Resources at AREVA. Head of Group HR, ÖBB. Peter is Head of Group HR of the Austrian Federal Railways. Bénédicte started her career as a philosophy teacher in Saudi Arabia for 7 years. 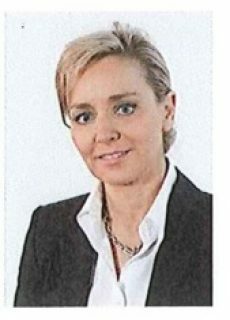 She joined the HR function in 2007 and, between 2011 and 2015, was HR Director of Julhier-Sterwen, a consulting firm (formerly Bernard Julhiet). 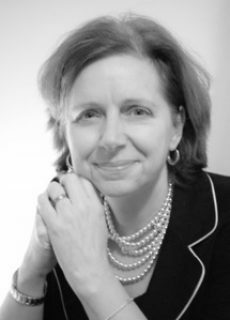 A member of the ANDRH (French Association of HR managers) since 2008, she took part in several national committees before becoming head of the Group in Neuilly Levallois Clichy. She was elected to the National Bureau in December and joined the association's permanent members in June 2015. 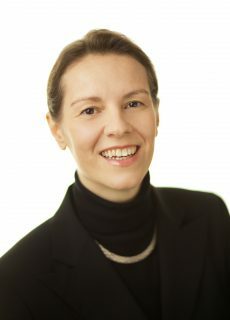 Bénédicte has an impressive track record in Human Resource leadership. This former Director of Human Resources at Mon- santo and Givenchy Couture is currently working as Director of HR and European Development for one of France’s most presti- gious international brands, Chanel. 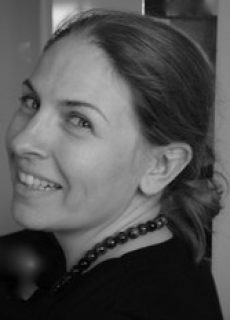 Bénédicte graduated from Paris’ ESSEC business school with a minor in marketing and began her career in the pharmaceutical industry working for Ciba Geigy (now Novartis), then for Searle where she was Product Leader for Canderel and Director of Public Affairs and Commu- nication. When the Monsanto Group merged its pharmaceutical, nutritional and agro-chemical activities, Bénédicte became HR Director, contributing to the organisation’s transformation into a pioneering Life Sciences company. Chief Human Resources and Information Officer, EUTELSAT. 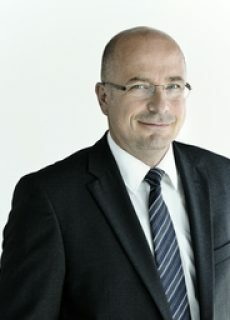 Jean-Louis Robin joined Eutelsat in April 2012. He also oversees the Group’s IT Department. Jean-Louis has extensive experience in human resource management in international groups, including almost 10 years at TDF where he was Group Secretary General and Human Resources Director, five years in subsidiaries and divisions of France Telecom and four years at Coca Cola Enterprise. He began his career in the energy sector, at Framatome (today Areva). Jean-Louis is a French national and a graduate of IEP (Institut d’Etudes Politiques) of Paris. 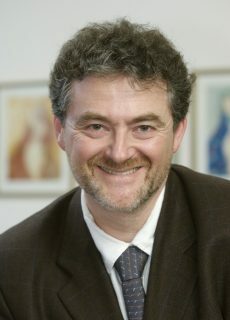 Since January 2009, Jean-Christophe SCIBERRAS has been Direc- tor of Human Resources France and Group Social Relations at of Solvay (following merger with Rhodia). He graduated from the Ins- titut d’Etudes Politiques of Paris and has a degree in economic science and a Master’s Degree in social law. For 5 years, he was a labour inspector in the Paris suburbs and then a judge at the admi- nistrative court of Versailles for three years. Between 1991 and 1993, he worked as an advisor with the Ministry of Labour. 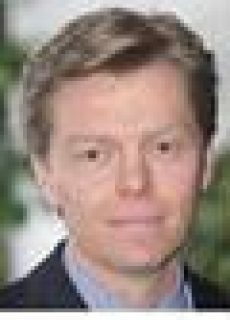 In 1994, he joined Renault and became Director of Social Relations Group, Director of HR and legal affairs for Mercosur in Brazil, and finally HR manager for engineering centres in France. He is the pre- sident of the French association of HR managers. Head of Human Resources, AMUNDI. Isabelle started her career at the Crédit Lyonnais in 1989, working in New York and Paris, mostly in corporate functions. In 1997, she went to Prague for 3 years and developed recruitment and social audit activities for Carrefour, which was settling in the Czech Republic and Slovakia. Back in France, she went back to Crédit Lyonnais and kept working in HR. She joined Amundi in 2010 as deputy HR Director and became Senior HR manger one year later. David began his career in 1991 at Schlumberger, where he held a number of human resources positions in France, Scotland, Angola and Russia. In 2003, he was appointed Executive VP, Human Resources for the Schlumberger group in New York. During his time at Schlumberger, he also gained wide-ranging operational experience, first as Operations Director at Wireline for Colombia, Peru and Ecuador (2001–03), then as CEO of Schlumberger Indonesia (2006–09). In 2009, he became Executive Vice President, Human Resources and Communication at FCI, a company specialized in electronic and electrical interconnect systems. 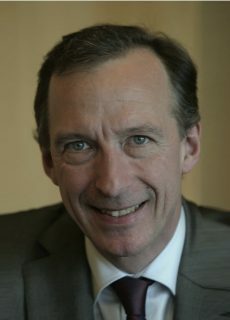 David Tournadre is the Senior Executive Vice President, Human Resources and member of the Executive Committee since June 2013. In 1985, Philippe began his career as an assistant for labour issues at FRAMATOME's Chalon Saint Marcel plant. In 1992, he was appointed Human Resources Manager for the industrial equipment depart- ment. In 1996, he became head of FRAMATOME's Human Resources Department, before becoming Vice President, Human Resources at FCI and a member of the Executive Committee in 1999. In 2002, he was appointed Vice President for Human Resources and Communication at FCI. Since January 2004, he was Senior Executive Vice President, Human Resources for the group. In October 2005, he became member of the group's Executive Committee. He joined Alixio in January 2013 and became its effective CEO. Ursula graduated from the University of Passau with a degree in Languages, Economic and Cultural studies. She started her career in Intuit Deutschland GmbH as a Human Resources Assistant, then continued her professional development in Volkswagen AG as HR Offi- cer, Brand & Corporate Functions and Head of Department for Medium-term International Assignments. In 2001 she joined Dr. Ing. h.c. F. Porsche AG as Head of Human Resources Subsidiaries & Inter- national Assignments. 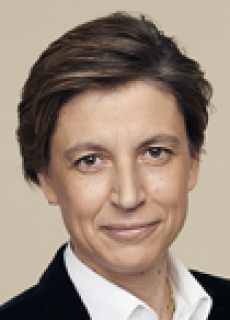 Ursula Biernert is currently Vice-President Human Resources & Communications for Thales DeutschlandGmbH. From 1978 to 1985, Stefan was Managing Director of a federal youth organization in Berlin, priorities on after-school youth education and youth policy. Between 1985 and 1990 he was a member of the Head of the DGB Federal Youth in Düsseldorf, responsible for organization, finances, and youth policy. 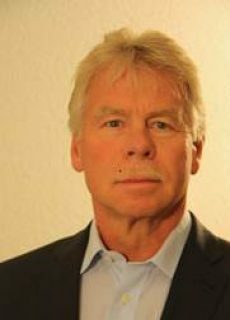 In 1990-91 he was a member of the staff of the branch office of the DGB Federal Executive Board in Berlin to build up the DGB-structures in East Germany. 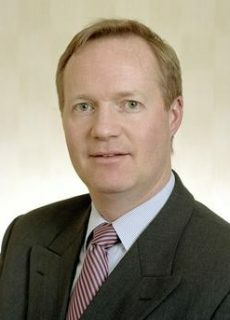 In 1991 he became Managing Director of the DGB district Berlin-Brandenburg in Berlin, responsible for human resources, finances, organization, management, political planning and coordination, until 2011 when he became Head of the human resources department of the DGB Federal Executive Board in Berlin, with a focus on human resources development and planning, education of managers, salary systems and communication. 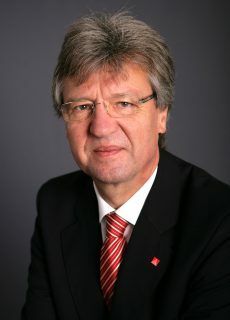 Rainer has been the head of the Human Resources department of the largest German trade union, IG Metall, since 1998. He has also been responsible for the organizational department and coordinating executive tasks. He has experience from various supervisory boards in the industry for more than 30 years. Currently, he is a member of the supervisory boards of the GEA Group in Düsseldorf and the Schunk Group in Heuchelheim. He has also been an honorary judge at the Federal Labour Court in Frankfurt/Main. In December 2014, he became chairman of the board of trustees at the European Academy of Labour and in October 2015 managing director at the Academy of Labour gGmbH, both in Frankfurt. Director Human Resources Europe & International, MONDI. 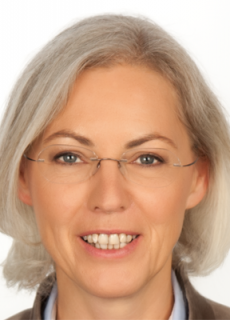 Until 2014 Cornelia was the Global Head of HR at GEA Group AG, a leading manufacturing company. Prior, she was a member of the board of directors at Coca-Cola Erfrischungsgetränke AG, responsible among others for Human Resources. Before that, she held various executive positions in national as well as international HR Management with Coca-Cola as well as Deutsche Bank. She has a long track record in transformation projects such as Post-Merger-Integration and Business Transformations as well as substantial experience in restructuring and collective bargaining. She is a founding member of the German Federal Association of HR Managers (BPM) and is part of their Executive Committee. She was a member of the supervisory board of the HPV Hamburger Pensionsverwaltung e.G. and is part of the executive committee of the European HR Director’s Circle. She is now Director Human Resources Europe & International at Mondi. 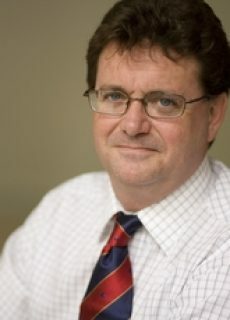 Stephen is Director of the Centre for Workforce Effectiveness at The Work Foundation, which he joined in 2002 as Director of Research from Institute for Employment Studies (IES), and an Honorary Professor at Lancaster University. He has carried out research and policy work for the No 10 Policy Unit, HM Treasury, the Cabinet Office, the Department of Health, the Department for Work and Pensions and the European Commission. Stephen has conducted research on high-performance work practices, employee reward strategy, staff engagement and retention and Good Work. 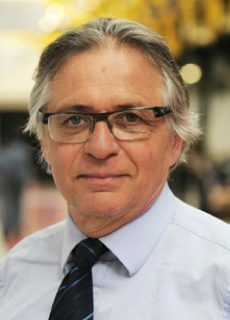 He is a member of the expert group supporting the government’s review of sickness absence, a member of the McLeod Review’s "guru" group and was an expert advisor to the Hutton Review of Fair Pay in the public sector. Stephen is Founding President of the Fit for Work Europe Coalition, which promotes active policies to improve labour market participation among people with long-term health conditions. Wendy has over 25 years’ experience in Human Resources in a career spanning private and public sectors. Wendy is currently the Director of Human Resources for the Olympic Delivery Authority (ODA), which is the public body responsible for developing and building the new venues and infrastructure for the London 2012 Olympic and Paralympic Games. She has worked for the ODA since April 2006, which is when the Authority was set up, and she has a portfolio that includes HR strategy and operations, equality & inclusion, and corporate business continuity / crisis management. Wendy has previously held senior HR roles in the Department for Environment, Food and Rural Affairs and EDF Energy. She has also worked in HR for Standard Chartered Bank and Littlewoods. Wendy is particularly interested in creating healthy, resilient and agile organisations which enable high employee engagement, job satisfaction and peak performance. After working in the car industry and as a journalist Steve wrote a PhD and book called Management and Managed: Fifty years of Cri- sis at Chrysler. 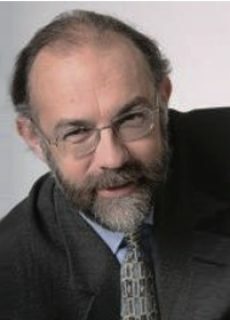 After several years as a visiting professor at Grenoble University he became Professor of European Employment Studies at London Metropolitan University in 2000, the year he published Management, Work and Welfare in Western Europe. 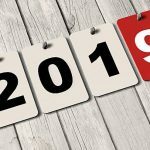 Three years later, then Director of Londonmet's Working Lives Research Insti- tute, he wrote Liberté, Egalité and Fraternité at Work: Changing French Employment Relations and Management. In the last three years he has published three jointly edited books: Globalizing Employment Relations, Globalization and Precarious Forms of Pro- duction and Employment, and Changing Work and Community Identities in European Regions. 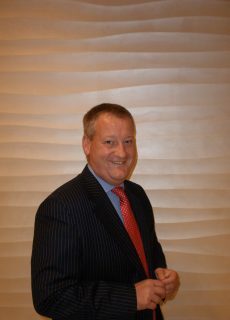 Bernard Perry is the Managing Partner of TRANSEARCH UK and is based in the London office. The UK is a critical node in the international network of executive search and human resource consultancy practices that characterise the TRANSEARCH global partnership. 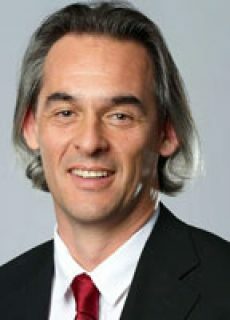 An engineer and consultant by background, he brings over twenty years of international executive search experience, with a focus on Board and senior executive appointments across an industrial spectrum that encompasses advanced engineering, specialist manufacturing, associated support services and professional services. 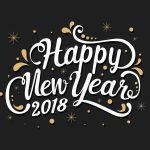 Throughout most of career, Bernard has assisted the UK divisions of major international companies, often in high security, regulated sectors such as defence, aerospace, nuclear and consultancy. Structured and effective key account management and the development of deep, long term client relationships underpins success that is focused on high quality outcomes. This often involves cross-border mobility and introducing appointed candidates into complex multi-country reporting structures. Bernard adopts a highly collaborative approach with clients and colleagues alike, which is crucial for the successful delivery of assignments at this level. Bernard has been involved with the European HRD Circle for several years and has been actively pursuing opportunities to develop the Circle’s activities in the UK, as well as supporting the Circle’s annual conference. Bernard is a Chemical Engineering Graduate and spent his early career in Brussels, where he worked at the European headquarters of two international industrial market research and competitive intelligence consultancies. He is a Fellow of the Royal Aeronautical Society and a fluent French speaker. Gerry joined DB Schenker in May 2004 as Corporate Industrial Relations Manager. He was promoted to the position of Human Resources Director in September 2004. Prior to joining DB Schenker, Gerry worked in the clothing, fashion and apparel industry. This was an international role with facili- ties in the UK, France, Germany, China and the USA. Gerry has over 20 years experience as an HR practitioner across a range of industries within the UK and Internationally. The indus- try sectors he has experience in include; Rail Freight , Electronics, Textiles, Retailing, Passenger transport and the Gas, Oil and Petroleum sectors. In May 2011, he left Deutsche Bahn to take up a new position as the Group HR and Security Director for NATS Ltd, the UK and glo- bal Air Traffic Control services provider.